Having a long term condition requires careful monitoring to ensure that there are as few complications as possible. In order to help you manage these conditions we have a number of clinics. In these clinics you will be offered at least an annual check up on your condition. If you are on treatment for asthma or chronic obstructive pulmonary disease (COPD, previously known as chronic bronchitis), our nurses run clinics in order to ensure your condition is being maintained as well as possible. Often, you may be experiencing problems but you have come to accept these as normal, or you may be able to get better control than you have. 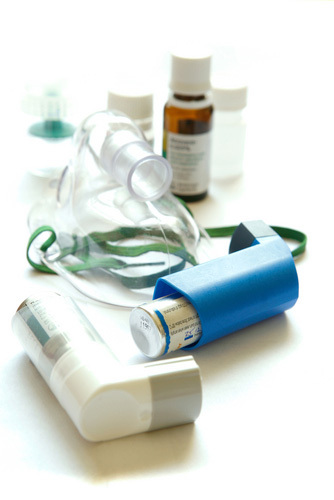 A check on your inhaler technique and a check on your medication can often make a big difference to your abilities and your symptoms. Our nurses are skilled in checking these factors and can monitor your condition with peak flow readings and spirometry (a more advanced method of monitoring your lung function). They can also advise on changes to the way you take your medication and on the addition of different medication to help your condition. If you wish to make an appointment to see the nurse please phone 01942 614307. Regular monitoring of heart disease gives you the best chance of reducing any problems that might develop, or which are present without you knowing. This clinic looks at the control of heart disease, checking that you are on the correct medication and that there are no problems developing. If problems are found you will be given advice or may be referred to the doctor. You will be asked a number of questions as well as being given an opportunity to ask your own questions. If you have heart disease you will get an invitation to this clinic every year. This should occur around the month of your birth. Attending the clinic is a two stage process. Firstly, you will be asked to attend to have some blood tests. You will need to have fasted for about 12 hours before this test (nothing to eat or drink except water, black tea or black coffee - no milk or sugar). After you have had your blood tests you will be advised to make an appointment approximately two weeks later to see one of our nurses. She will then go through a series of questions, inform you of your blood test results and give advice as needed. She will also be able to answer any questions you may have about your disease. To make an appointment to see the nurse please 'phone 01942 614307. Wigan has had a very active, borough-wide diabetes register for the past 15 years or so. We, as a practice, participate with this register to ensure our patients get the best care for their diabetes. As a diabetic you will have a yearly check by our very experienced practice nurse team, a yearly check on your eyes by retinal photography and a yearly review by chiropodists. The complications of diabetes can be reduced by good blood sugar control, and we believe that we can help you with that control by our programme of yearly checks. You will be invited to attend the surgery for blood tests and then two weeks later you will be seen by one of our practice nurses. At this check our nurses will review your diabetes control and ensure that you have had your foot and eye checks. The nurses will ensure that any problem areas are followed up and this will also give you the opportunity to ask questions. If your diabetes is controlled by insulin injections this annual check will be undertaken by the diabetic team at the hospital. If you wish to make an appointment to see the nurse for this please 'phone 01942 614307. Kidney disease is a term used to include any abnormality of the kidneys, even if there is only very slight damage. ‘Chronic’ means a condition that does not get completely better. Some people think that ‘chronic’ means severe. This is not the case, and often CKD is only a very slight abnormality in the kidneys. Recent research suggests that 1 in 10 of the population may have CKD, but it is less common in young adults, being present in 1 in 50 people. In those aged over 75 years, CKD is present in 1 out of 2 people. However, many of the elderly people with CKD may not have ‘diseased’ kidneys, but have normal ageing of their kidneys. Although severe kidney failure will not occur with normal ageing of the kidneys, there is an increased chance of high blood pressure and heart disease or stroke, so that medical checks will be helpful. There are many causes of CKD, and two of the commonest causes are high blood pressure and ageing of the kidneys. Very few of the causes of CKD are completely curable, so it is often not necessary to do extensive tests to find a cause, so long as blood tests show the kidney function is stable. If someone has markedly reduced kidney function, declining kidney function, or associated problems such as kidney pain, a scan of the kidneys will be performed. Some people will also have tests such as a cystoscopy (flexible tube to look inside the bladder), or a kidney biopsy (a small piece of kidney is removed with a needle and looked at under the microscope). Have an annual ‘flu jab (influenza vaccination), and have the pneumonia (pneumococcal) vaccine once (talk to your GP about this). If you have chronic kidney disease we will offer you yearly checks, at least, so that we can ensure you are coming to no harm from your condition.